A shooting at a Long Beach law firm on Friday afternoon left two men dead, including the gunman, and one injured, authorities said. The gunfire was reported around 2:25 p.m., Long Beach Police Sgt. Brad Johnson said in a news conference. Upon arriving at a law office on the 300 block of East San Antonio Drive, police discovered two bodies, including that of the shooter who appeared to have died of a self-inflicted wound, Johnson said. While one victim did not survive, another man was shot but managed to drive himself to the hospital, Johnson said. He remained in serious condition but was expected to survive. Officers recovered a weapon believed to be a handgun at the scene, Johnson said. The workplace is in an area where multiple law firms are located, including an office of Larry H. Parker, an injury attorney well-known for his television commercials. Sources say a recently fired partner at a Long Beach law firm shot his former co-workers during an office party Friday afternoon. 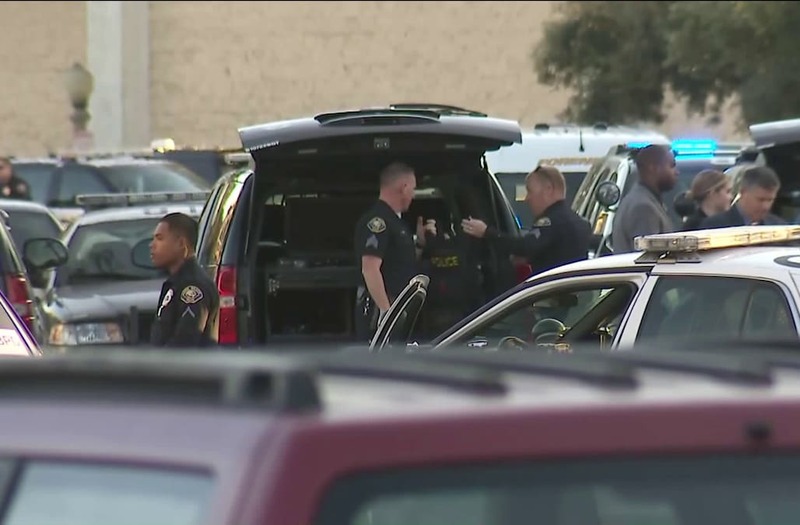 Police have not specified which law office was involved in the shooting, but the Los Angeles Times reported that Long Beach City Councilman Al Austin, who was briefed on the shooting, said the gunman was a former employee at Parker's law offices. All three men were employees at the same law firm, police said. Employees were moved to a nearby motel during the ordeal, police said. By 3:30 p.m., police confirmed the incident was no longer an active shooter situation. Video posted from the scene to Twitter showed a large law enforcement response blocking off streets in the area. In the footage, people can be heard saying they heard gunshots ring out.